Every creation is copyrighted by default. If in doubt whether or not you can use it, ask the creator. If you cannot identify the copyright owner, better don’t use the material. And if you do use someone else’s work, whether with explicit permission or based on a generic license, be sure to credit your source. That’s copyright in a nutshell, but of course it’s much more complex than this. If you’re wondering under what circumstances you can use images, how you can find the original creator, and where you can find free to use alternatives, expect some answers below. Copyright is a very complex subject Confused About Copyright Law? These Online Resources Can Help Confused About Copyright Law? These Online Resources Can Help It's a confusing subject, yes, but it's important that you wrap your head around it. If you're involved in any sort of creative work, these resources will help you do just that. Read More and deserves its own article, which this one is not. 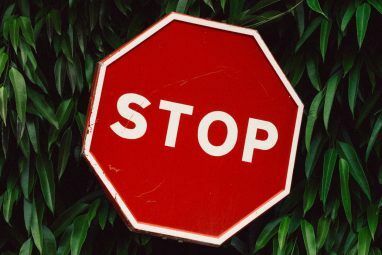 For a quick overview, have a look at these myths surrounding copyright infringement Understanding Copyright: 5 Myths Debunked! 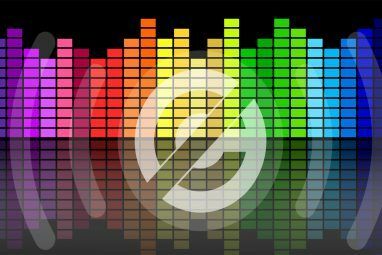 Understanding Copyright: 5 Myths Debunked! There's a lot of misunderstanding around Copyright law, especially when it's online. You could be breaching Copyright and not even know it. Read More . In essence, everything someone creates is automatically copyrighted. The absence of a copyright symbol does not affect the intellectual property. Crediting the original creator doesn’t void a violation of their copyright. While it doesn’t matter whether or how the work was published, copyright can expire and the creation then moves to the public domain. Works in the public domain are those whose intellectual property rights have expired, have been forfeited, or are inapplicable. Examples include the works of Shakespeare and Beethoven, most of the early silent films, the formulae of Newtonian physics, and powered flight. If in doubt, ask for permission to use the work. Identifying the original source of a particular image can be a challenge. While searching on the Internet is easy, even for images, so is duplicating. If you suspect that an image you would like to use is an illegal copy, try to search for it and you might identify the real copyright holder. We have previously shown you how to search for similar or identical images online Search for Similar Images Online Using Images Rather Than Keywords Search for Similar Images Online Using Images Rather Than Keywords Read More using the image search engine TinEye - Searching For Images With An Image TinEye - Searching For Images With An Image Read More TinEye. Since TinEye entered the market, Google also introduced and improved its own image search. Open Google Images, click the camera icon to search by image and either paste an image URL or upload an image to search with. With any luck, the original source of the image will be among the results. If still in doubt, approach the owners of the websites where you found the image and ask them for their source. This might lead you to the original creator. Which image would you like to use — include a link. Where would you like to use it — include a link if applicable. Specify the nature of the use you are seeking, e.g. commercial vs. non-commercial, academic, or educational. How would you like to use the image, i.e. as is or with modifications — describe modifications you would like to make or include a sample. Ask the copyright owner how they would like to be attributed, in case they give you permission to use their work. It’s easier to receive permission for non-commercial, educational, and/or academic use. You may have heard of fair use and how it’s a way to circumvent copyright. If you thought this was a straightforward workaround for using any image you like, I’m afraid I’ll have to disappoint you. Taking screenshots for an article like this, for example, generally is tolerated as fair use. One could argue that the purpose is educational, the resulting product is informative (rather than creative), only minor snippets are used, and the original creator’s income tends to be increased as a result. You see, to be considered “fair use”, you have to meet several criteria, making it a rather complex exception. For more details, please refer to our article on what fair use is What Is Fair Use? A Basic Explanation For Aspiring Creatives [MakeUseOf Explains] What Is Fair Use? A Basic Explanation For Aspiring Creatives [MakeUseOf Explains] Half of the videos I find on YouTube always have some note in the description about how it's totally legal for the creator to use songs from their favorite band as background music. Their reasoning... Read More . By using alternative image licenses 3 Popular Image Licenses You Need To Be Familiar With Before Using Someone's Photos 3 Popular Image Licenses You Need To Be Familiar With Before Using Someone's Photos Read More , creators can change or renounce their copyright and make their creations free to use, under certain conditions, if they so choose. These licenses include Creative Commons (our introduction to Creative Commons What Is Creative Commons, And Should You Use It? What Is Creative Commons, And Should You Use It? Creative Commons is a set of licenses which automatically give you permission to do various things, such as reuse and distribute the content. Let's find out more about it and how to use it. Read More ) and the GNU Public License. Likewise, material in the Public Domain is free to use. Rather than figuring out who holds the copyright for a particular image and asking permission to use it, why not just search for images anyone can use. It will save you a lot of headache. A great place to start is at the heart of free to use content, Creative Commons itself. 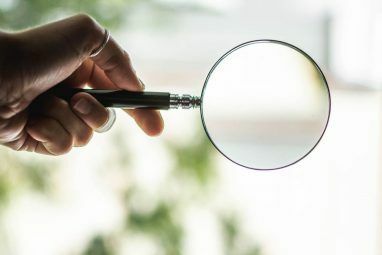 CC Search emphasizes that it’s not a search engine, but merely an access point for services provided by other independent organizations. They also warn that licenses must be verified by following the link to the source. With Google, it takes few extra steps to filter images by license. Go to Google Images, enter your search term, on top of the results page click Search tools, and under Usage rights make your pick. Google unites results from multiple sources, including Wikimedia Commons and Flickr. Since you have to double-check the license either way, you can also go straight to the source. Wikimedia Commons is an open media file repository of public domain and freely-licensed educational material, which anyone can contribute to and use for free. Files are published under Creative Commons licenses, unless they belong in the public domain. Flickr remains a great resource for Creative Commons licensed images. Under Flickr’s Advanced Search you can choose to Only search within Creative Commons-licensed content and specify your search further by content to use commercially or content to modify, adapt, or build upon. You can find more resources for free stock photos 6 Free Websites for Public Domain Images and Free Stock Photos 6 Free Websites for Public Domain Images and Free Stock Photos Public Domain refers to material that is 'publicly available' and not covered by intellectual property or copyrights. In today's media, where visual art is abundant, there is a high demand for images, for example for... Read More and quality Creative Commons images 5 More Places to Help You Find Quality Creative Commons Images 5 More Places to Help You Find Quality Creative Commons Images There are lots of reasons you might need to find Creative Commons images. Last year, we introduced you to five great places to find Creative Commons images, with the list including heavyweights like Flickr and... Read More in our respective articles. If you forget to attribute your source, and even if the way you use the image is perfectly legal, you’re technically plagiarizing someone else’s work. Note that material in the public domain, which is copyright-free, is considered plagiarized if you don’t acknowledge the source. Wikipedia contains more in-depth information on plagiarism. If you’re wondering what image credits should look like, you can refer to these best practices for attribution. Briefly, your attribution should contain the image title, the name of the author, the source link, and the type of license, including a link. If you’re a photographer, painter, writer, or any other creative, you should protect your own work or make it available to the public. To protect them, you can watermark your images 13 Easy & Free Ways to Watermark Photos 13 Easy & Free Ways to Watermark Photos Have you ever needed or wanted to mark an image as yours to prevent others from duplicating it and/or claiming it as their own? You might already know that this is called watermarking. The process... Read More . To eventually sell your photos, you should license them. The American Society of Media Photographers has a very thorough Licensing Guide for photographers, which also explains how to write a license. If you’re not interested in monetizing your creation, we recommend to license your work under a Creative Commons license of your choice. Have You Ever Plagiarized Content Or Violated Copyrights? 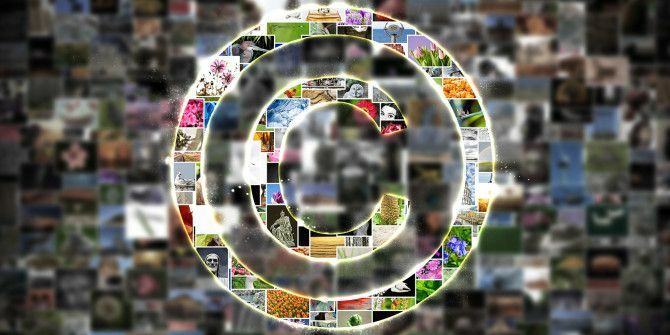 With copyright laws and regulations Copyright on the Internet and Why You Should Care Copyright on the Internet and Why You Should Care Copyright is a big deal on the Internet, and it has a huge impact on everyone, whether you create content or just read the stuff produced by sites like MakeUseOf. Read More being so complicated, I think it’s safe to say most of us have. What is your biggest learning from this article? Did we miss a resource? Where do you find media files for your creative work? Let’s hear your tips in the comments! Explore more about: Copyright, Image Search. Do I have the rights to release an Android app that displays a video of Google Pixel's 2 Live Beach Wallpaper as a Wallpaper on any other phone, not only in the pixel 2? Te new live Wallpaper are pixel 2 only. I made a screencast of the pixel 2 Beach Wallpaper and made a live wallpaper based in this video. I can't find any copyright note about this animation. My guess would be NO since Google certainly copyrighted their wallpaper. If they didn't explicitly remove the copyright or copyright it under a Creative Commons license, then they automatically own the copyright. If you intend on making this app available publicly, you risk getting into trouble. You'd definitely be in trouble if you offered it as a paid app. If it's for personal use only, you're fine. Can you please explain why Google does not follow the copyright law? After all, they publish millions of images on Google Images without credit which is why you advise that we have to do all the work to find the owners and get permission. Is this a case of the Golden Rule, in which those who have all the gold make or break the rules? Being a search engine, I guess you could say Google is the Table of Content of the internet. This means they're not really publishing copyrighted images. Rather, they are listing and linking to them. I'd say that's an extension of fair use. Hi - I am wondering if this is the case globally, as well, or just in the US? Our headquarters is in France, and I hear their copyright laws are more strict. Copyright laws are different in every country. The rules above apply to the US, unless stated otherwise. Generally, they are similar though. Hi, I have technology blog, can I give a credit link to image on my blog which is taken from another tech website. Is it legal use for commertial blog, Please help. 1: The image from the other tech website is automatically copyrighted, unless it says somewhere that it's free of copyright or protected under something like a Creative Commons license. 2: As soon as you make money from your blog, it's commercial, even if it's also educational. And even if you don't make money from it, it might not be considered educational. As such, fair use doesn't apply. 3: Giving credit alone doesn't make it legal if points 1 and 2 still apply. Even if they don't apply, i.e. the image is copyright free and / or you can claim fair use, you still have to give credit. Some fringe cases exist, like website or software screenshots and product images. Too much to go into here now. So how does Cloudflare (a huge company) get away with a copyrighted image on https://blog.cloudflare.com/thoughts-on-abuse/ (which doesn't have any proof of license) for so long without getting sued? Even though many of their customers run pirate torrent sites and whatnot? So then essentially it sounds like a total of zero photos or videos are fair use for educational purposes. I'm convinced that not a single blogger on this planet intends to never make a dime in their blogs as a whole. This doesn't seem accurate to me since YouTube videos are monetized everyday when content creators use news snippets for political or general commentary. Something isn't adding up. Press releases are obviously different. Companies want the word to get out. That doesn't make all news/press coverage fair game, but most of it is meant to be spread. Thank you for your quick reply. I would imagine that many if not most would not desire to be criticized and in effect would not want a specific message spread. Maybe legacy and independent reporting has different protections as I am sure they do. Tina, I am speaking mostly out of frustration because I would like to be a content creator and one idea was to post inspiration for various DIY garden projects. Basically sharing images of said projects and giving a commentary on each one. What I like, what I don't like, various ways to accomplish the look, where to get the supplies etc. I would not be able to replicate each and every project I would be recommending. It gets frustrating when you want to do something and find that it will be impossible to do. I work for a company that delivers training programs. Our programs are designed to include clips from movies, TV shows, and TV commercials. We use these clips to reinforce teaching points. Is this considered fair use? It is, as long as you include a list of the authors and sources in the software credentials. Without it, it is not. Anyway, it will be nice from you to at least send a short note to the authors about the use of their creations. They might be happy to be "featured" this way. My situation is kind of different from what people have described above. I make tutorial videos on YouTube, and in those videos, I use images I find online. Over the course of a single video, I often need to make use of dozens of specific images, most of which only appear on screen for a few seconds. To make matters worse, I often can't find the images of what I need (for example, a Native Instruments Komplete Audio 6 audio interface, on a white background) on the free image sites. What am I supposed to do? Spend the hundreds of dollars necessary to get all these stock photos? Wait weeks for the person who made a photo to get back to me and say whether I have permission to use it? I am on a tight schedule, and I don't have the money to spend on an image that will likely only be on-screen for a few seconds. Am I just stuck? This is kind of why I wish we could change copyright law in the US. Because as of right now, the "legal" way to get images takes days or weeks (if you're waiting to get permission from someone) and costs at least $20 per picture (if you're getting a stock photo), and the "illegal" way takes 30 seconds and is free. You don't have to be a lawyer to see that there's something very wrong with this situation. The tight schedule is an excuse. You make your own schedule when you negotiate the terms with the customers. And if you're your own customer and make tutorials as a hobby, why would you be on a tight schedule? Maybe you can make tutorials for the things you can photograph yourself? That would be legal, fast, and fair. Or maybe, if you gain money from the tutorials, and they advertise some products, you could legally obtain these photos from the producers? Still, if you use the images for a fair use, which a tutorial could be considered, you should at least mention the author and the source of the images in the description of the YouTube tutorial. Here is an additional free resource on copyright that Lifehacker shared recently: Tales from the Public Domain: Bound by Law? is a comic book that tells the story of copyright law in an engaging and fun way. So let say that you draw someone's art and upload online, briefly states that you've drawn this but didn't give credit to its original owner but everybody know who's the original creator of that art. Will this violate any laws? I guess it depends on how closely you copy it. Generally, what you're describing is plagiarism - you're not giving credit to the person you copied. It does violate the copyright law. If you are using them to promote the freeware, the copyright owner probably won't object with the use, but technically, you might still violate their copyrights. If you're using freeware icons for your own work, not related to the freeware itself, without honoring requirements per the freeware license, you're violating the copyright. In other words, check the license of the freeware; they may ask to be credited for using their tool/icons or they may have renounced their right for attribution. Freeware non-commercial means you can't obtain any profit from the use of the icons (artwork). Usually this also means it can be used for money gain, only if the money are dedicated to aid a non-profit entity (ex: Green Peace). "Creative commons attribution" - this is a chunk of the license type. It must be CC 3.0 or other number sequence. That points to the CC license you should search. Anyway, attribution meas you should credit the author, by mentioning somewhere his/her name. A Google search for the license type will lead you to the official Creative Commons site where you can find the appropriate license terms. To be safe, you should always give credit. Or if that is inconvenient, contact the creator and get a written confirmation that they waive their right of attribution. I'm afraid the rot sets in at school where kids are educated to believe it's OK to steal pictures from books. I did a brief spell at a senior school between jobs and was horrified how much photocopying of books (clearly stating in the cover that copying is forbidden) was done by teachers preparing worksheets. In the end I refused to be complicit and left. At school, if only small sections of books or images are copied, it is probably rightfully considered fair use. But I'm not a lawyer and it does depend on the individual case. That said, I see how that can set a bad example if not explained or put into context. I wish this article - or another one - would get into the related topic of "model" permission (or whatever it's called). The way I understand it, even if a photo is in the public domain, it's not necessarily permissible to use that photo unless there's a model release; in other words, any person in the photo needs to have granted permission for his/her likeness to be used. I'm still a bit murky on the ins and outs of this, so it would be nice to see it addressed. Good point, Phids. I didn't think of this at all when writing the article, although I was aware of the model release practice. I probably didn't come across it because it's actually not a copyright, but a privacy-related issue. And it appears to be complex, deserving its own article. Thank you! I spend so many hours to find all these alone. Thanks again! 1. This article applies as well to any content on the Internet, including text. I need to ask the permission of Ms Tina and MakeUseOf.com to copy-and-paste this entire article into, e.g., a Facebook status update. Without said permission, I would be violating your copyright. I can't even invoke fair use. 2. Speaking of “fair use”, I'm not sure it's accurate to refer to it as “circumventing” copyright. If anything, it still honors the copyright. You're right, Fair Use does not -- if used correctly -- violate copyrights. It is a legitimate tool introduced to make copyrighted material legally and easily accessible for certain uses. What I meant (and should have expressed more clearly) was that it is often perceived as a way to circumvent copyrights, which of course is not its purpose at all. This is my first visit on your site.This information is very useful for me.Thanks for sharing. Thank you. This was a very timely article that anyone who runs a website or blog should take to heart lest they get bit by the Copyright Beast!